Could automation of simple tasks make office staff happier? The use of robotics and automated technologies is something that – if we believe recent research and forecasts – will become increasingly common in many workplaces over the coming years. While this could raise concerns about people losing their jobs, there is also a strong possibility that roles could be enriched and new positions could be created thanks to office robots and artificial intelligence. Are workers ready for robotics? In a survey by ABBYY, a provider of content intelligence solutions and services, nearly two-thirds (63 per cent) of UK employees said they would be willing to outsource work tasks to a robot if they had the option to do so. This could help employees avoid some of the monotonous jobs they dislike and focus on more productive, fulfilling work, helping to improve workforce morale and business productivity. Nearly a quarter (24 per cent) of respondents said the task they most disliked was attending meetings. Reviewing long documents (17 per cent) was next in the list, followed by speaking to customers (13 per cent) and having conversations with the boss (11 per cent). While most of these are processes robots are unable to help with, the research also highlighted a number of unpopular tasks where AI and automation could prove useful. Sixteen per cent of workers identified manual data entry as the first project they would happily delegate to a robot. This was followed by taking minutes and notes (14 per cent), electronic filing (12 per cent), tracking hours/time (11 per cent) and processing documents (11 per cent). Anthony Macciola, chief innovation officer at ABBYY, said it was encouraging to see that most employees would be happy to assign tasks to automated systems. He added: “Whilst people may not enjoy spending time in meetings or speaking to customers or their boss, they clearly recognise the value they personally bring to those activities. What about the impact on jobs? One of the issues often raised in the ongoing debate around AI and automation in the workplace is that humans will lose their jobs to robots. 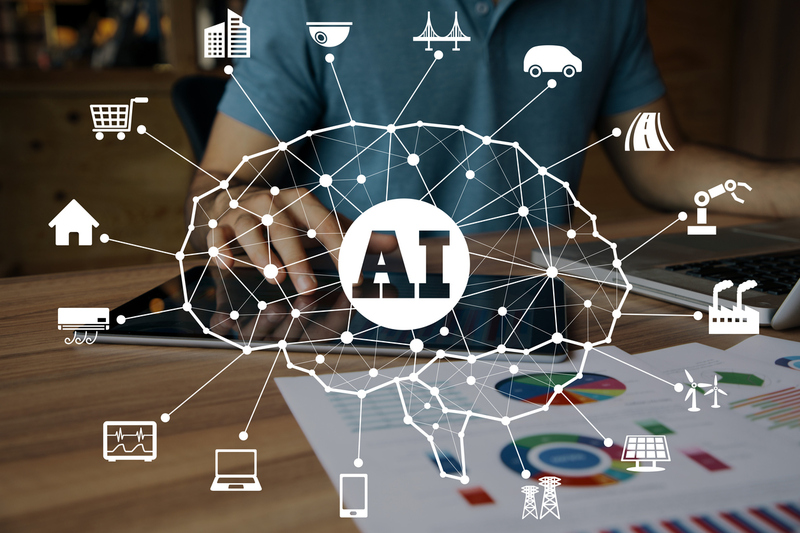 While this is a legitimate concern for some workers, research has suggested that the development of AI will create as many jobs as it displaces over the coming years, partly by boosting economic growth. Professional services firm PwC released a report predicting that, in absolute terms, some seven million existing jobs could be displaced by AI and related technologies during the next 20 years, but about 7.2 million could be created. John Hawksworth, chief economist at PwC, pointed out that major technological advances throughout history have displaced some jobs, but also generated productivity gains, reduced prices and increased spending levels, thereby creating demand for more workers. If your business is likely to be affected by the evolution of AI and workplace robotics in the near future, one of the key jobs for managers will be to inform human employees about how their role could change and outline what new opportunities could be open to them in the future.